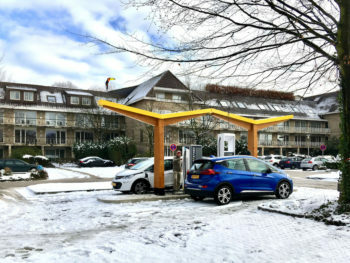 Fastned has opened a fast charging station at Van der Valk Hotel Gladbeck in Germany as part of a new collaboration. Located close to the A2, the station has a 50kW and a 175kW fast charger, which can be paid for either using the Fastned app or via charge/credit card or bank account. Fastned is currently working with Van der Valk on installing chargepoints at three of the hotel chain’s other locations and will look to increase the programme further. The sites will form part of Fastned’s network of fast-charging stations, which currently totals 87; the firm is looking to build a European network of 1,000 fast charging stations in total.